Season’s Greetings from the Accounts Payable Team! Each payment request must refer to only one invoice (i.e. no more including multiple invoices on the same payment request form). Expense Reimbursement forms are for employee reimbursements only. All other reimbursements must be submitted via a payment request form. Note: Payment requests submitted to A/P that do not conform to the above guidelines will be returned to the department for revision and resubmission. Submit no more than three payment requests per email to Accounts-Payables@luc.edu. Payment requests must be approved and include documentation to support the payee and amount. Note: two signatures are required for requests over $5,000. Each payment request and its supporting documentation (invoice, email, etc) should be submitted in one PDF attachment. ACH is the preferred method of payment for all requests. Please encourage your vendor to sign up for ACH payment. Sensitive information, such as W-9 forms or banking details, should be sent to Accounts Payable via Loyola Secure Transfer. Loyola University, including the Accounts Payable office, will be closed from Dec 22nd – Jan 1st in observance of the holidays. If you are an active employee who is also an active vendor with Accounts Payable, you may receive an email from A/P in the near future asking you to verify that the ACH banking information on file with A/P is correct. This email will come from accounts-payables@luc.edu. Please be assured the email will NOT include full banking details, nor will it ask you to submit banking details via email. On September 26, 2018, Procurement Services and Marketing and Communication announced the addition of Warehouse Direct as the University’s new Prequalified Supplier of Promotional Products (not for resale) (also see https://www.luc.edu/purchasing/announcements/index.shtml and a flyer here). In the coming weeks we will be hosting a number of Promotional Product Vendor Fairs to introduce Warehouse Direct to the University community. Various suppliers will be showcasing their product offerings and will be available for all of you to discuss each of your departmental promotional product needs. In addition, each attendee will have the ability to provide Procurement Services valuable insight into their product needs and make recommendations as to which products should be considered for inclusion in the online ordering system. Once implemented, the online ordering system will include many of the product recommendations that will ultimately help streamline the order and fulfillment process while ensuring cost control and brand integrity. The product shows will be held at the following dates, times and locations. Attendees are free to come and go throughout these times. Each show will also feature give-aways and raffles! Please feel free to forward this message to anyone interested. For questions or more information please contact: Brian R. Slavinskas, Senior Director of Procurement Services and Financial Compliance, at 312-915-8787 or bslavin@luc.edu. We hope to see you there! 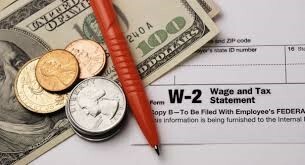 W-2 statements were mailed on Wednesday, January 31st to employees who did not opt-in for the electronic version of the W-2 or who are no longer active employees. Please allow 1-2 weeks for delivery via the USPS. We will not be processing any W-2 reprints until Monday, February 12th. If you do not receive your W-2 by February 12th, you may fill out, sign, and email back a completed W-2 request form, which is available on our webpage. Once we have the form, we will work on processing a W-2 reprint within 5-7 business days. Electronic W-2’s were published online on Tuesday, January 30th. If you are still an active employee, you can view and print a copy of your W-2 electronically while connected to the Loyola network. All you need to do is give your consent to receive the W-2 electronically by following the steps found here. Opting in will give you access to your 2017 W-2 electronically. It will also give you access to other recent year W-2’s. Additional information regarding electronic W-2’s may be found here. If you opted in to have your W-2 submitted electronically to Turbo Tax, your W-2 will be sent to Turbo Tax by Wednesday, February 1st. We are pleased to announce that Loyola University Chicago has partnered with Printing Arts to provide the university community with a full service copy and print solution. Printing Arts was selected after an extensive Request for Proposal (RFP) process. Printing Arts will maintain an on-site presence to accommodate walk up requests. They will be located in the current Copy Center on the Lake Shore Campus, Centennial Forum Student Union (CFSU), 1125 W. Loyola Avenue, Main Level. The telephone numbers will remain the same – 773-508-2042; 773-508-2041; 773-508-7741. The email address for the Copy Center is printingservices@luc.edu. We would like to welcome Printing Arts to Loyola University and look forward to our partnership with them! We would also like to thank Canon Solutions America for their many years of service to the University. Please direct any questions to Sam Perry, Purchasing Manager at 312-915-8781 or sperry@luc.edu. Please Note: The required University Deposit Slip procedure is changing and only the new form will be accepted at the Bursar Cashier Offices. The new form has equations in the Totals and Summary sections for ease of data entry so it is highly recommended that you use the form on-line when completing it. Additional Itemized Deposit Detail can be provided in the Deposit Description box or on a separate Itemized Deposit Detail form, whichever is most appropriate. Similarly, the new PDF Expense Reimbursement Form should be used going forward. University ProCard Expenses should no longer be included on this form. ProCard expenses related to this business travel can be noted in the Business Reason for Expense/Comments box. The Gift Card Purchase Policy has been established to set forth the guidelines and procedures for the purchase and distribution of gifts and gift cards/certificates purchased with University funds to ensure compliance with the University’s tax withholding and reporting obligations. This policy applies to all staff, faculty, and principal investigators who wish to purchase gift cards for the purpose of incentives, awards, and other uses necessary to carry out the University’s mission. Gift cards should not be given in exchange for services received or in place of a payment of wages. Gift cards are subject to tax laws similar to cash payments. Effective immediately, any department wishing to purchase a gift card, will need to complete a Gift Card Purchase Authorization Form. This form should accompany the Purchase Requisition and sent to the designated Purchasing agent: HSD Purchasing at HSDBUYERS@LUC.EDU or Lakeside Purchasing at PURCHLSC@LUC.EDU. Gift Card purchases should not be made on the ProCard. Once a gift card purchase has been approved, gift cards should not be used for reasons other than their originally stated purpose. Once gift cards have been distributed, a Gift Card Distribution Log must be completed and submitted to either SPA, GRNTCON@LUC.EDU (If AU begins with a 2, 5, 103XXX or 104XXX) or General Accounting, ACCOUNTING@LUC.EDU (For all other AUs). Gift Cards should be treated like cash and be kept under lock and key at all times to ensure proper physical security and to protect from theft and loss. Access to the gift cards and keys to the lock areas should be limited to the individual(s) responsible for safekeeping of the gift cards. Sponsored Program Accounting is happy to announce Donna Ballard’s recent promotion to Senior Grant Administrator. Donna joined Sponsored Program Accounting in April 2011 and has administered grants and contracts for the Lakeside campus, including the College of Arts and Sciences, the Center for Science and Math Education, the Institute of Environmental Sustainability, the School of Social Work and the Loyola Museum of Art. Throughout the past few years, Donna has successfully managed an increasingly more complex grant portfolio, including overseeing a wider variety of federal grants, tracking over half of Lakeside’s cost share commitments and completing a higher frequency of grant financial reports. Donna will continue to report to Karen McCormack and provide support to the aforementioned departments in her new role. Congratulations on the well-deserved promotion, Donna!